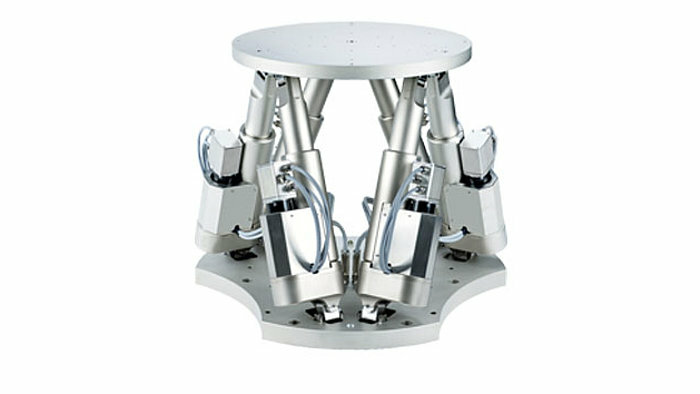 With three decades of Hexapod design and manufacturing experience, PI electro-mechanical hexapods and piezo hexapod positioners are the most advanced multi- axis precision positioning systems in the world, providing significantly higher precision than hydraulically driven systems. 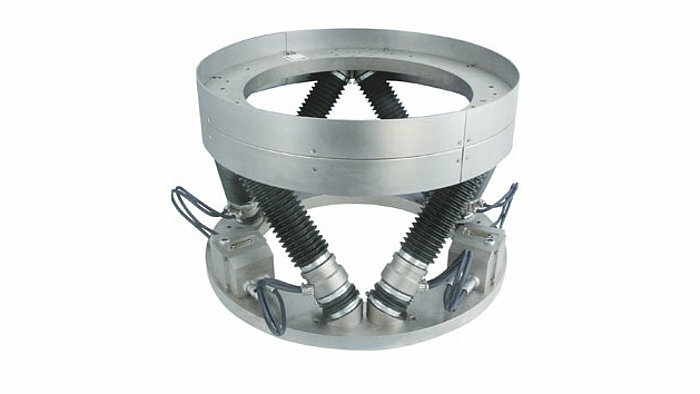 They are available in many sizes, and configurations for loads from 2 kg to more than 2000 kg, and most are self locking. 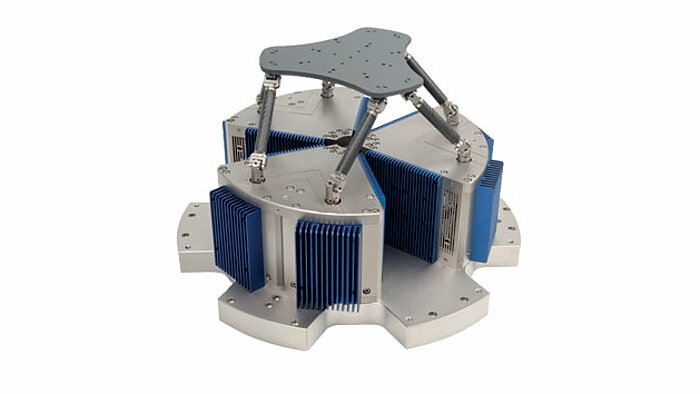 In addition to classical "Stewart Platform" type hexapods, PI also offers alternative parallel positioners, such as the SpaceFAB 6DOF Motion Platform design, which allows for longer linear travel ranges with a lower profile. 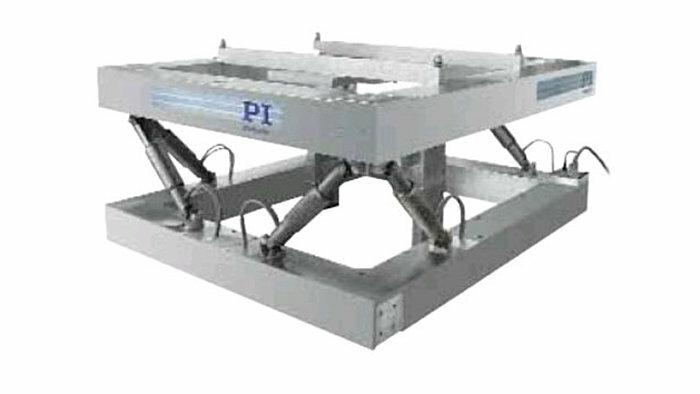 PI hexapods are operated by dedicated, state-of-the-art vector motion controllers with virtual pivot point capability. 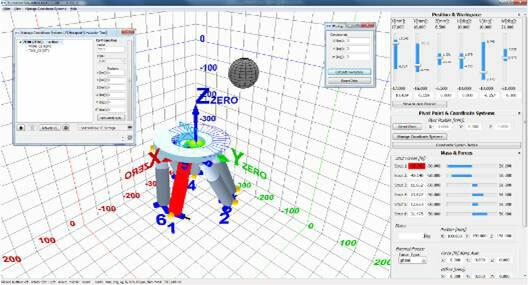 An extensive software package including alignment algorithms e.g. 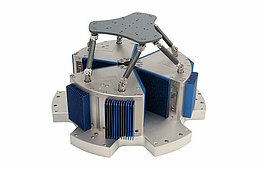 for fiber optics etc, as well as simulation tools are included. 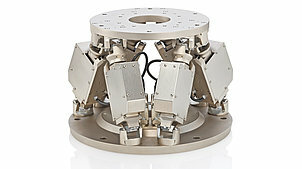 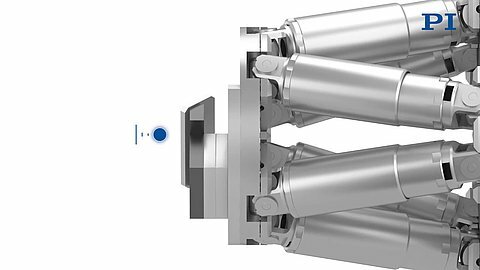 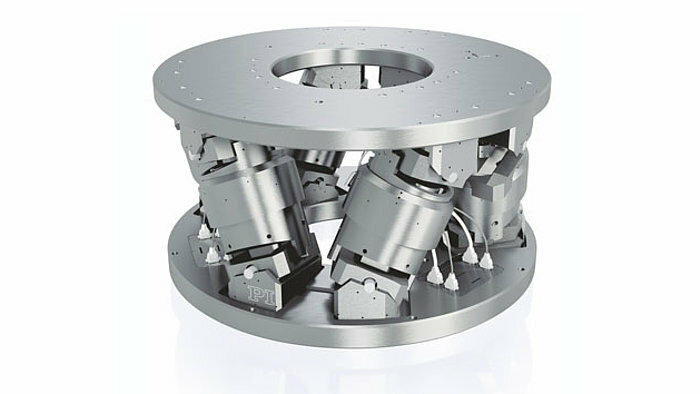 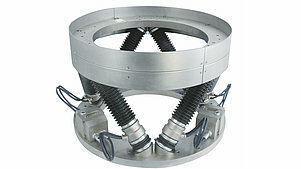 Many of our hexapods and parallel positioners are available in vacuum versions, some for UHV levels to 10-9 Torr. 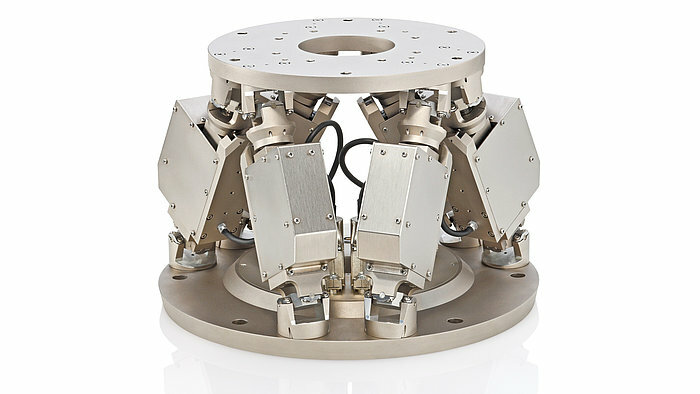 The H-811 miniature hexapod strikes a perfect balance of size, load and performance. 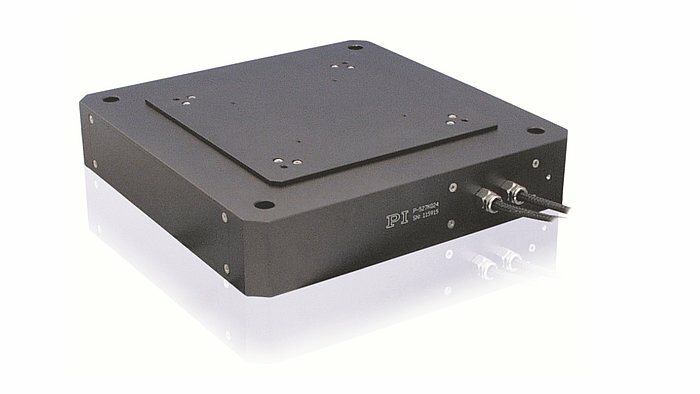 It has many applications in micro-assembly, silicon photonics alignment and also comes in a high-dynamics version for image stabilization. 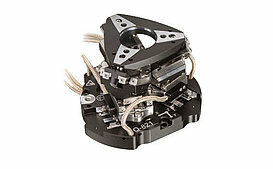 A vacuum-compatible version to 10-6 hPa is also available. 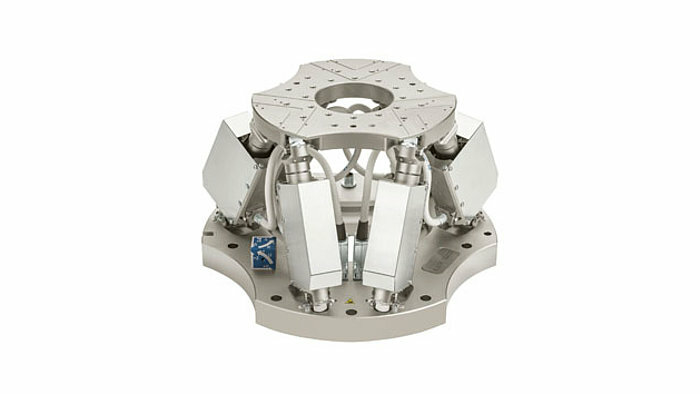 The H-810 is similar, with a smaller base plate diameter. 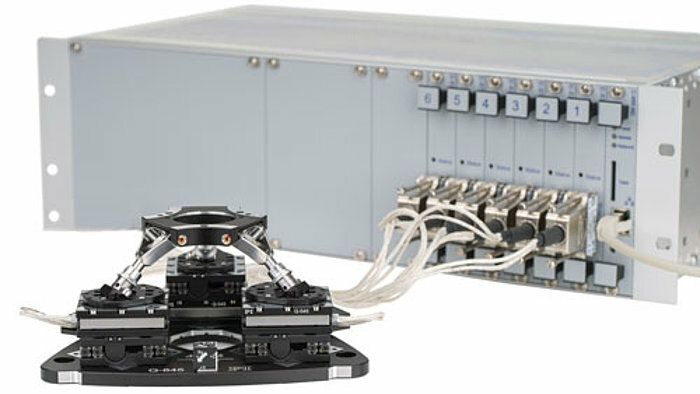 For fiber alignment and photonics alignment, a specialF-712.HU1 system based on the H-811 is also available. 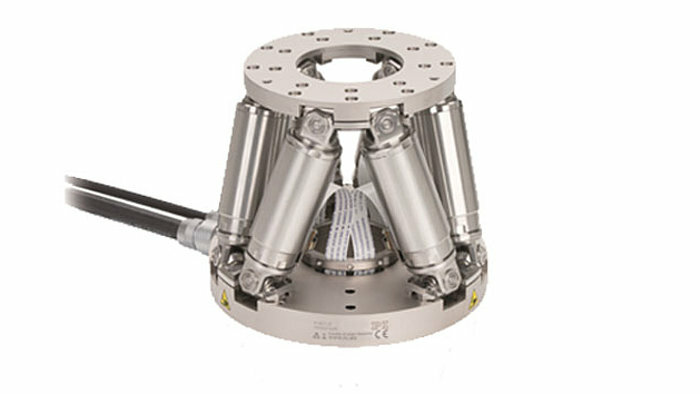 These 6 axis positioning systems are based on three XY linear stages, with integrated linear encoders, driven by piezo linear motors. 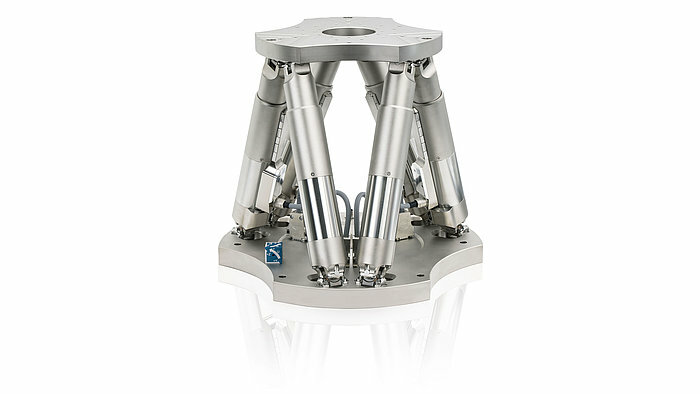 The three stage pairs actuate a tripod, in a way to provide highly precise motion in all 6 degrees of freedom. 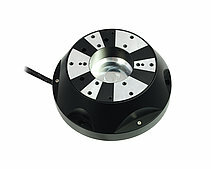 The Q-821 and Q-845 models are driven by inertia piezo motors, the N-865 low profile version uses a higher force PiezoWalk motor. 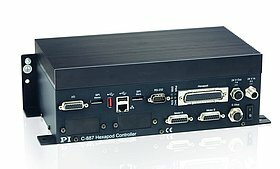 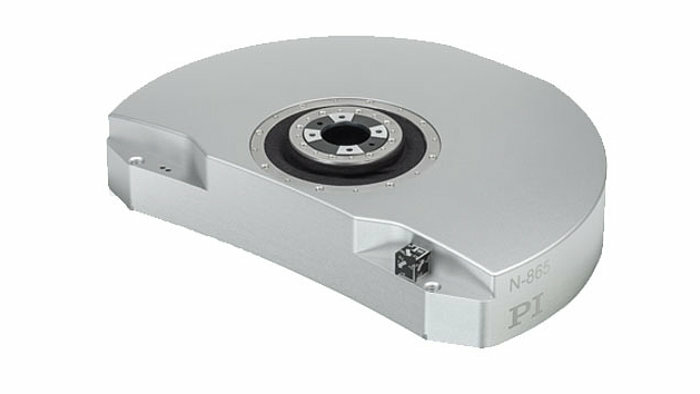 N-865 is based on the higher performing PiezoWalk drives and high-end PIone linear encoders. 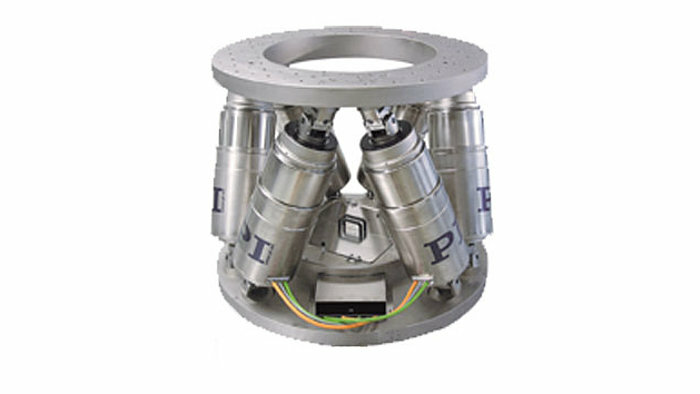 These special encoders manufactured by PI have been tested to provide resolution down to the picometer range. 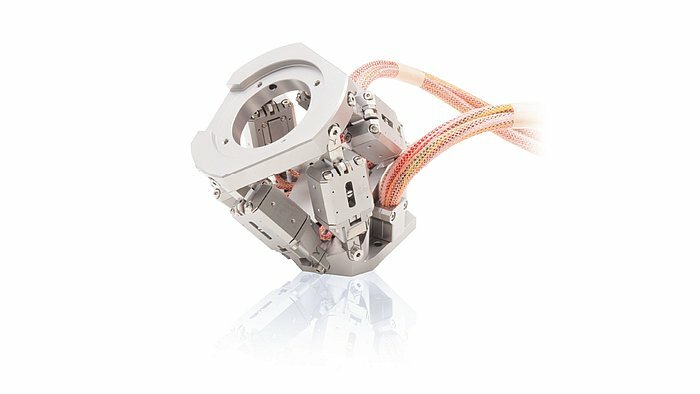 With an extremely high pitch grid period of only 0.5µm, and a read head based on a Mach-Zehnder interferometer, they can deliver exceptional linearity. 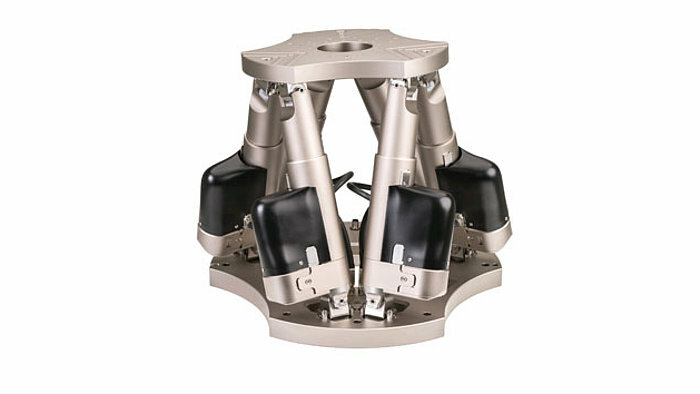 Most of these hexapods are available with brushless motors for long life operation. 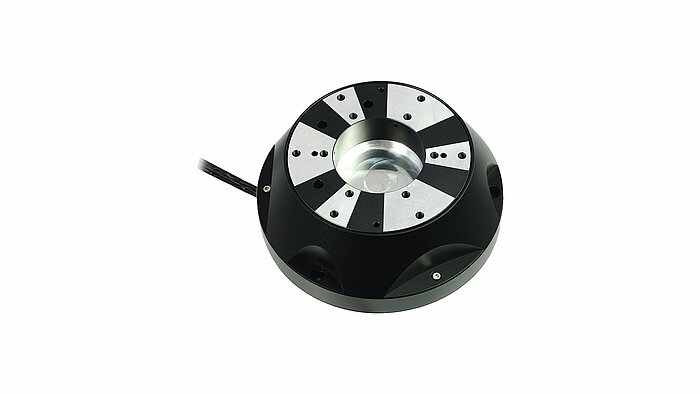 Some provide absolute measuring encoders – no referencing required after power up. 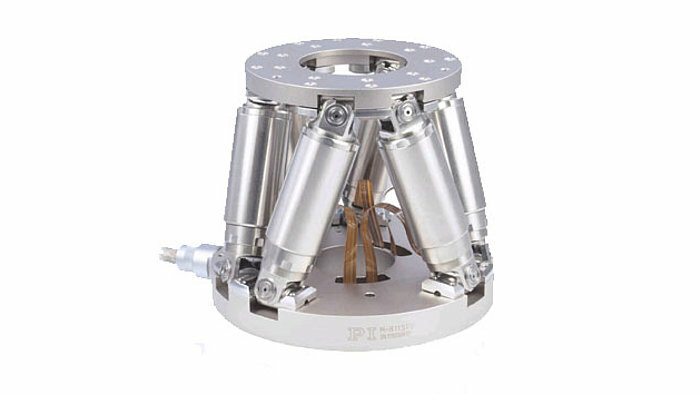 The H-824 and H-825 models use a folded drive train for reduced height. 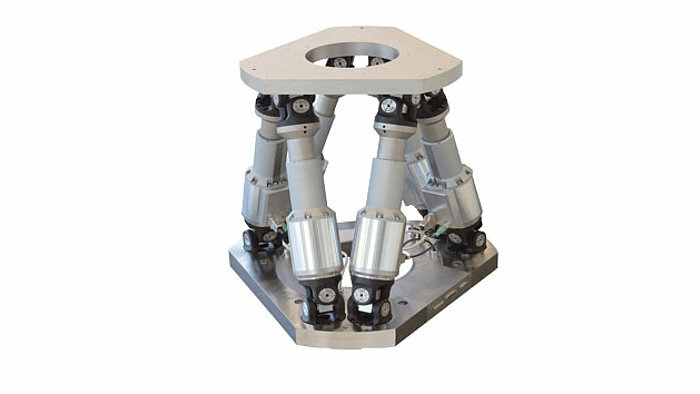 The H-206 uses frictionless and backlash-free flexure joints. 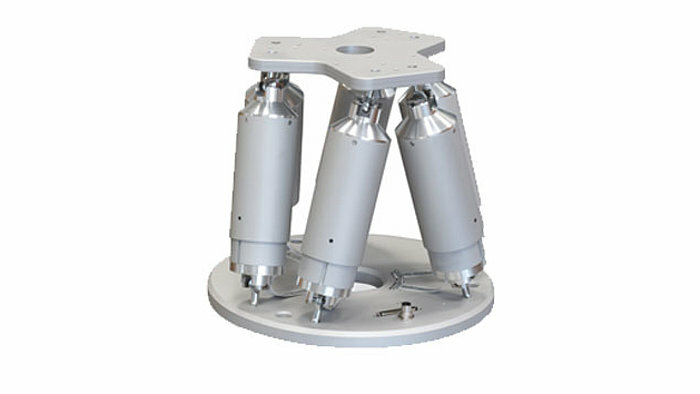 These hexapods are designed for standard loads up to 1000kg (higher load custom versions can also be offered). 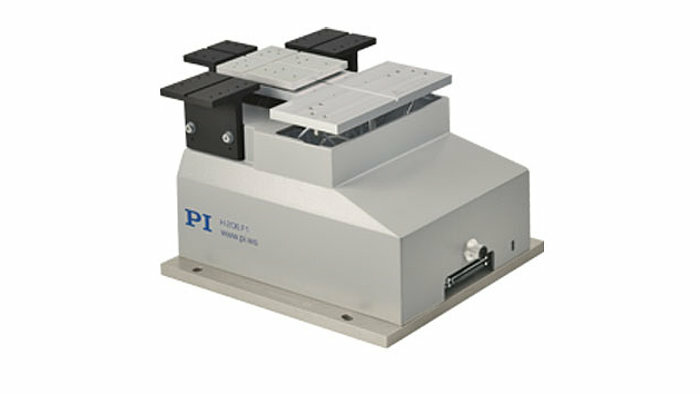 Despite the high load capacity, they deliver sub-micron resolution. 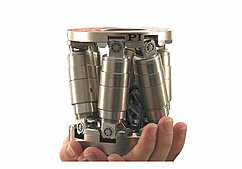 PI’s special cardanic joints with Z-offset provide the highest stiffness and best orientation-independent performance. 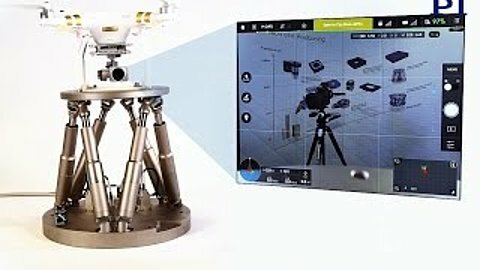 Learn morehere. 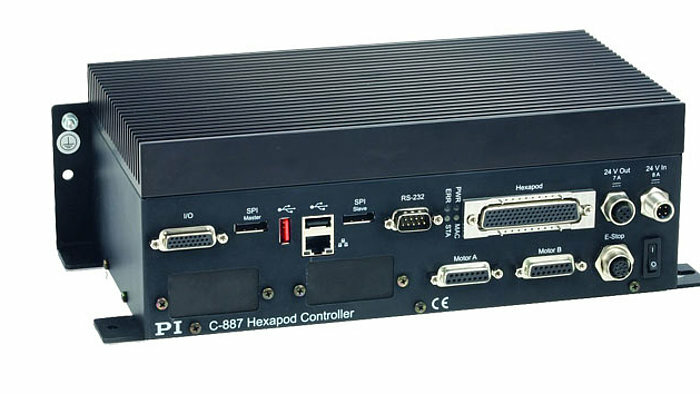 The H-860 is designed for highest acceleration. 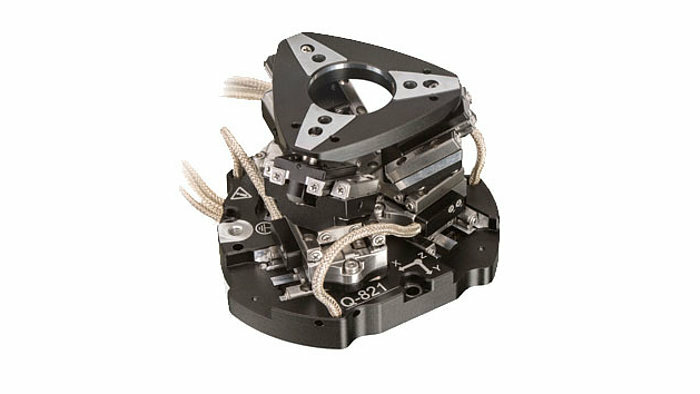 Its frictionless design is based on voice coil drives, flexure guides and carbon fiber struts for minimized mass and inertia – ideal for image stabilization / simulation applications. 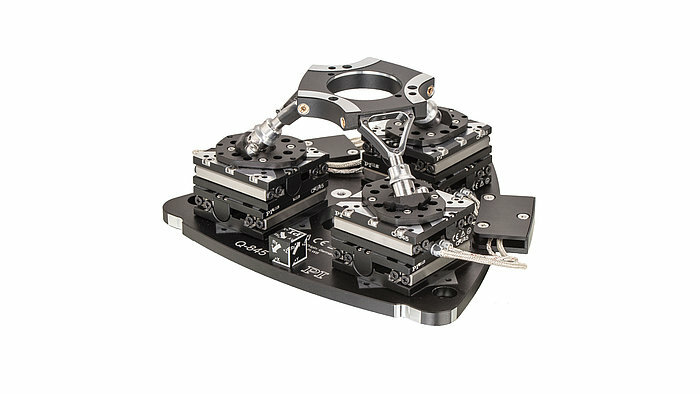 The H-811 is a CIPA certified miniature hexapod with brushless motors and ball screw struts. 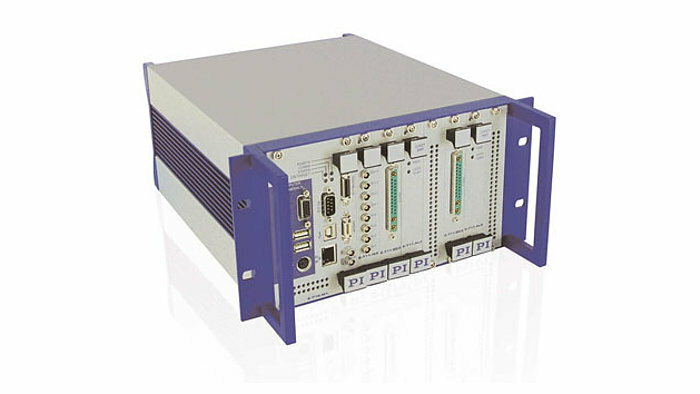 The H-900KSCO is designed for high loads in precision industrial automation, machine tools, automotive manufacturing, and simulation of motion on vessels. 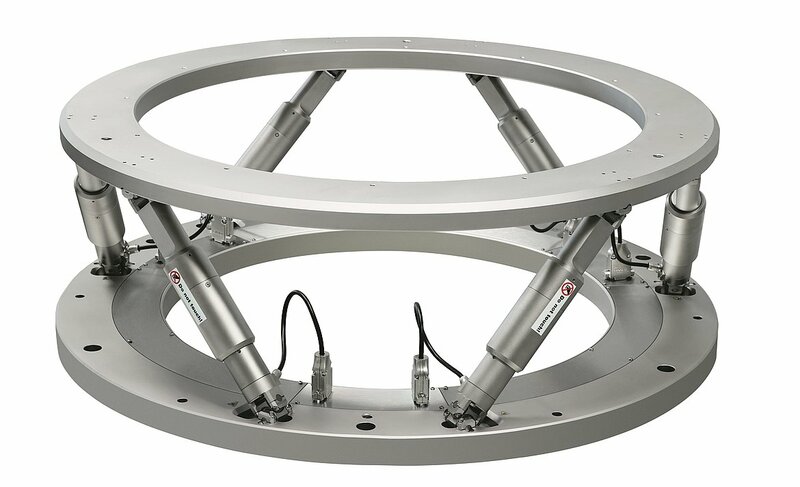 These custom hexapods show the enormous bandwidth of PI‘s design capabilities. 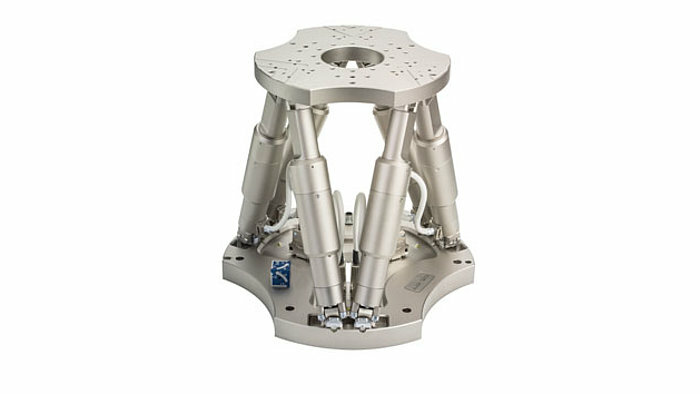 Clear Aperture: This custom hexapod provides a large 800mm clear aperture and a load capacity of 250kg. 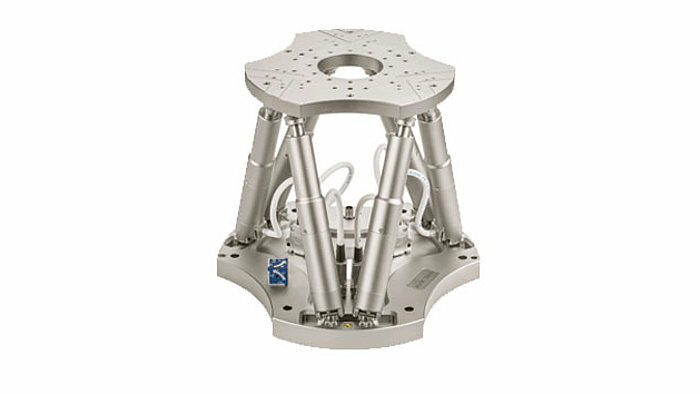 This example shows the superior symmetrical design principle of parallel kinematic motion systems, such as hexapods. 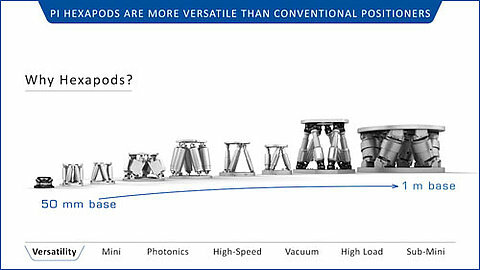 Low mass, high stiffness, low inertia. 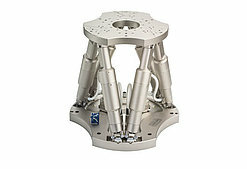 A similar 6-axis system with a stack of 6 single axis stages would not provide the same advantages. 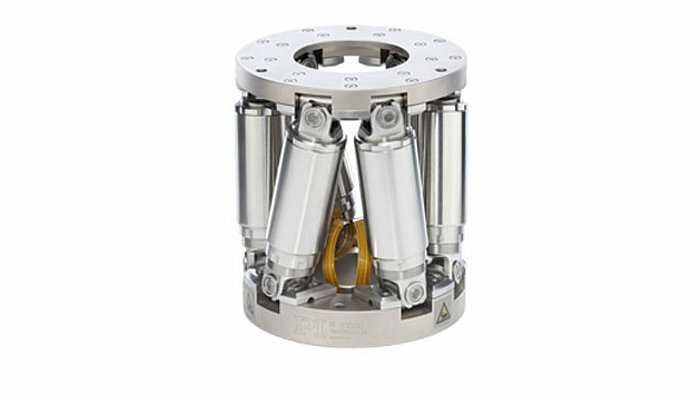 These piezo-stack driven systems provide faster response than conventional stages, in the low millisecond range, however with positioning ranges limited to <1mm. 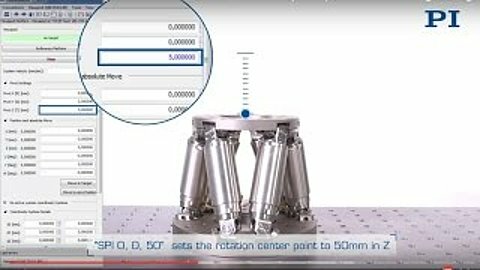 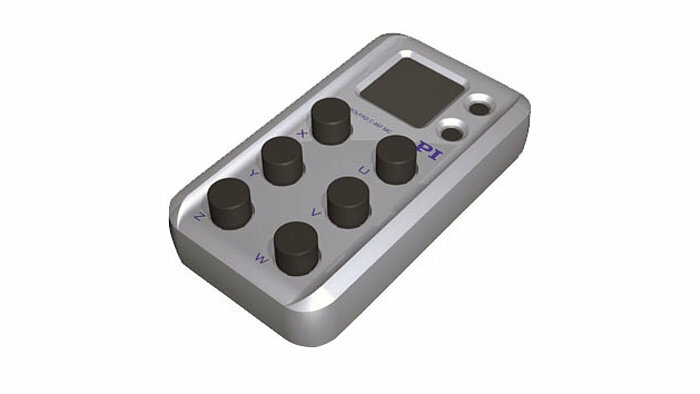 The P-915KWEF can be used in combination with motorized stages to correct for geometrical errors in 6 degrees of freedom in real-time. 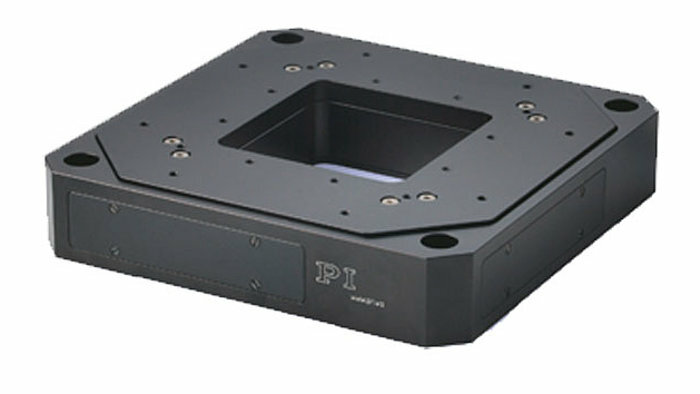 P-587 and P-562 are flexure guided, piezo driven stages with capacitive feedback for application, such as ultra-resolution microscopy and optical lithography, etc.